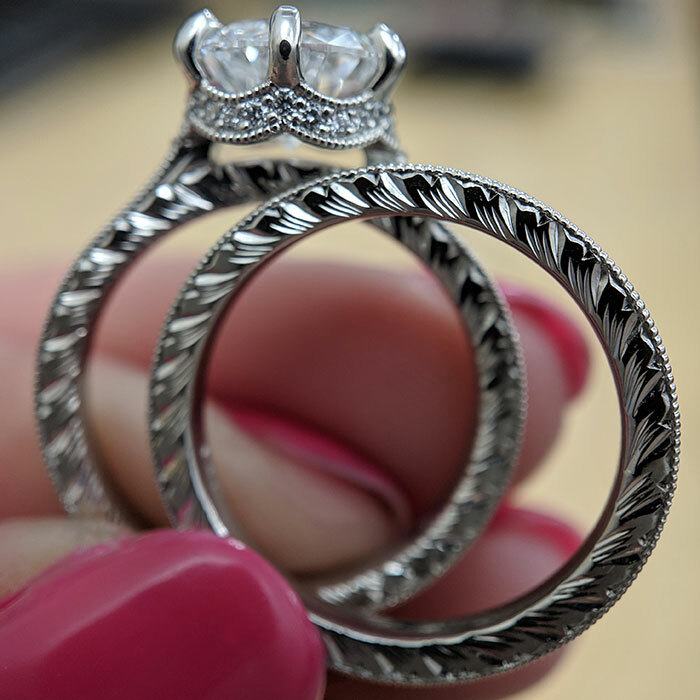 Hand engraving is the next stage of many of our designs. 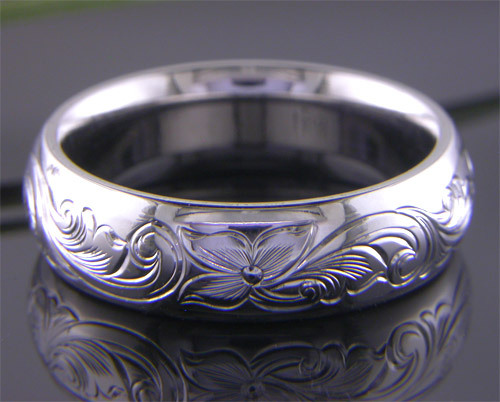 Engraving is when one cuts Patterns, Letters or Motifs metal directly into the metal. (Often confused with Carved patterns, which are produced in the wax or resin model and cast into place.) 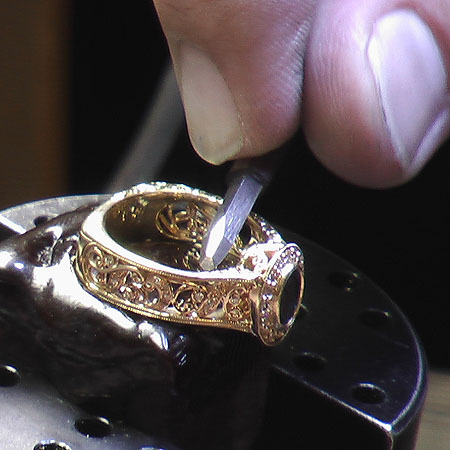 Hand engraving is commonly finer and much more detailed & delicate than cast patterns. We use both techniques, often on the same piece for different effects. 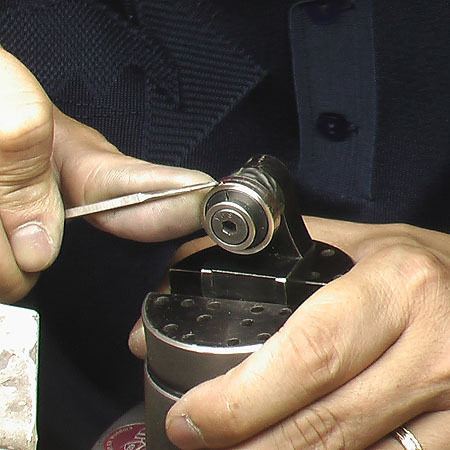 all of our Artists do their engraving work under bench microscopes and use perfectly honed carbide & hardened steel gravers. Graver preparation (& a steady hand!) makes the difference between top notch engraving and poor quality, muddy looking work. It is the hallmark of a true artist, and is performed under a bench microscope with carefully prepared and sharpened gravers. 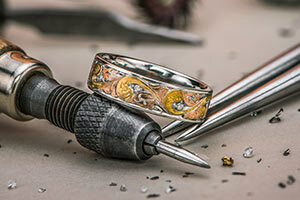 Want to see more Hand Engraving? 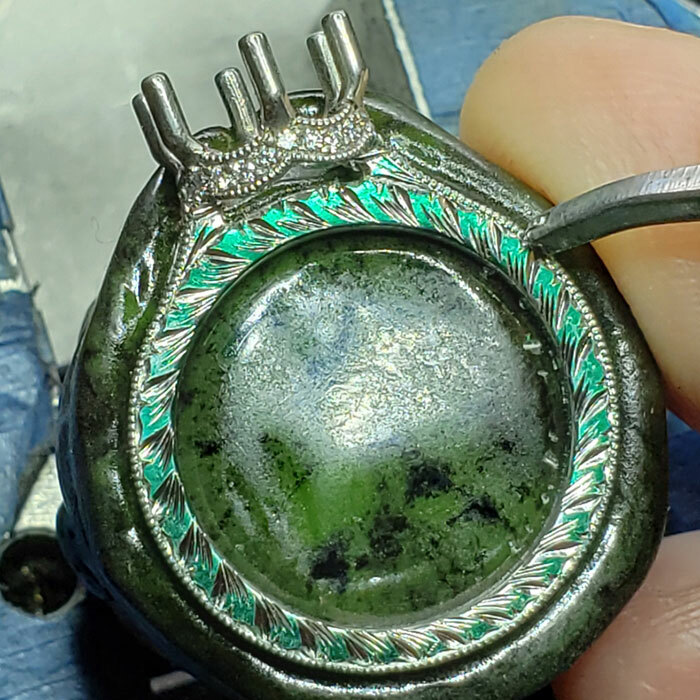 ©2005-2019 Green Lake Jewelry Works. All rights reserved.